Known for its Food Network fame on Cupcake Wars, Miss Moffett’s Mystical Cupcakes serves up Lavender Lemon Cupcakes. This seasonal treat is filled with lemon curd, lemon and lavender whipped cream cheese frosting with lavender bud garnish to top it off. Offered as an ongoing Saturday special, this might be the sweetest way to sample local lavender. Try your luck at Red Wind Casino and polish off a day at the black jack table or a three-course seafood extravaganza with a lavender panna cotta. This savory treat is served with a tuile cookie, native wild plum syrup and seasonal berries. Top with choice of Brut Champagne and garnish with fresh lavender—say cheers! 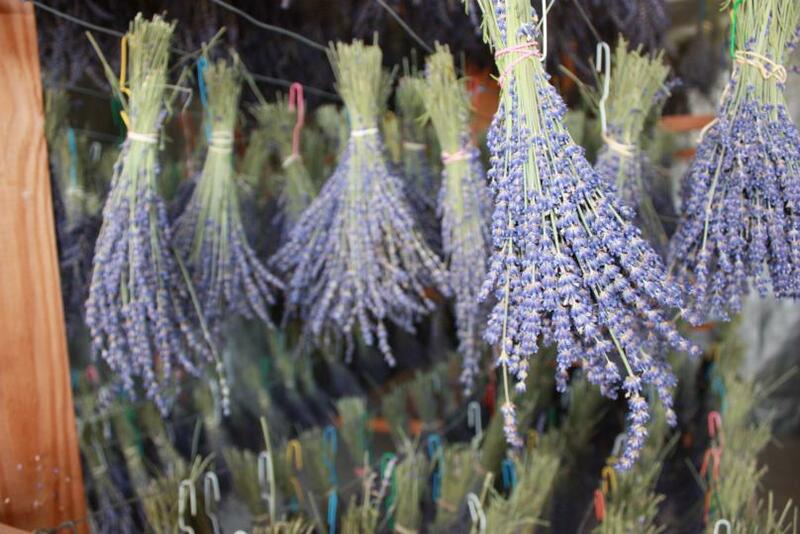 Those looking to go straight to the source can visit Evergreen Valley Lavender Farm, open Thursday to Sunday (10 a.m. – 4 p.m.), now through August. Relax in the fields, bring home organic lavender (fresh, dried and culinary), premium-quality essential oils and sprays, and handmade gifts from local artisans. Sample all the area has to offer and make a weekend of exploring more local artisans and businesses on the Thurston Bountiful Byway. Choose where to drink, dine and stay at experienceolympia.com or connect on Facebook, Twitter (@Experience_Oly) and Instagram (@ExperienceOly).